Premier League Preview for Stoke v Manchester United along with Predictions for the matches on week 33 of the EPL. Follow up each match with results and video highlights posted later in the week. You can also check out the weekly EPL TV Schedule. Manchester United may have lost (their fourth of the season), but they are still on target for their 20th Premier League title. 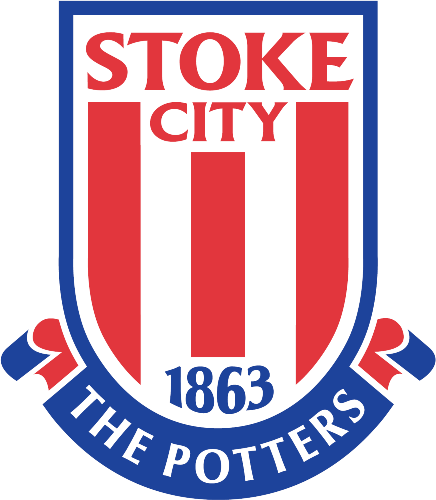 Stoke, on the other hand, are heading in the opposite direction. They have been sinking fast recently and their last win was back on February 9th against Reading. The fans are getting restless and their negative tactics are catching up with them. Pulis seems to be out of ideas and his post-match press conference over the weekend sounded like he realizes the dire situation he is in. He is even believed to be the next manager in line for the sack. Manchester United have not looked impressive for the better part of 2 months now. Their attacking prowess they showed at the start of the season has disappeared. I would say that they have no creativity (still) and that there is no real link up between midfield and their front line. There’s no one in there to create enough space for their forwards to work with. Against Stoke it could be a different story, but this could be due to having more possession. Stoke don’t have much in the way of attacking threats and will almost certainly sit back to try to defend. My prediction is a Manchester United win, though probably not a comfortable one. United’s defense has really stepped it up since the last time they met and gave up 2 goals. United weren’t exactly spectacular against Sunderland and that is why I’m predicting a low scoring win. For Stoke, they really need a result to stay out of the bottom of the Premier League Table. They are heading swiftly towards relegation and if they don’t get results soon, they will be relying even more on other teams doing worse than them.